VITEEE Exam Dates: VIT University is the conducting authority for university level entrance examination. VITEE is known as Vellore Institute of Technology Engineering Entrance Examination. VIT conducted this exam admission into four year B.Tech Programme in the Chennai & Vellore campus of the VIT University. The conducting authority conducts it 118 cities across India. VITEEE only available via online mode. VIT University released their mock test for candidates. Here you will get complete information about VITEEE Exam Dates. 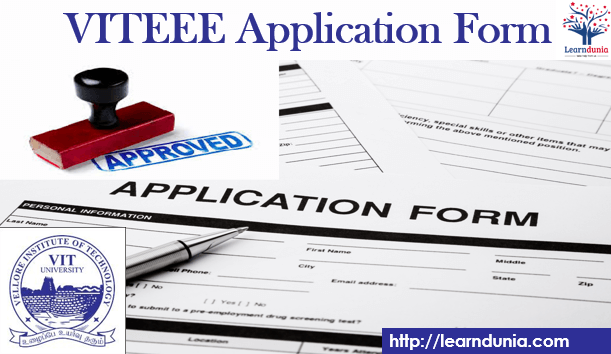 VITEEE 2019 Application Form can be filled till 28th february 2019, Click Here for more information. Here we discuss the Tentative dates of VITEEE 2019. VITEEE 2019 Online Application form available from first Week of November 2018, Offline Application Form is available form second week of November 2018. and the last date of filling and submitting the VITEEE 2019 Application form is 28th February 2019. candidates can give the mock test form first week of January 2019. VITEEE Admit Card will be available from Third week of March 2019, candidates can download the their admit card form the official website of the VITEEE. and the exam will be conducted from first week of April 2019. VITEEE Result will be declared on fourth week of April 2019.Candidates can check their Result on the official website. the result will be available on the online mode. The scholarship will be provided for all four year.